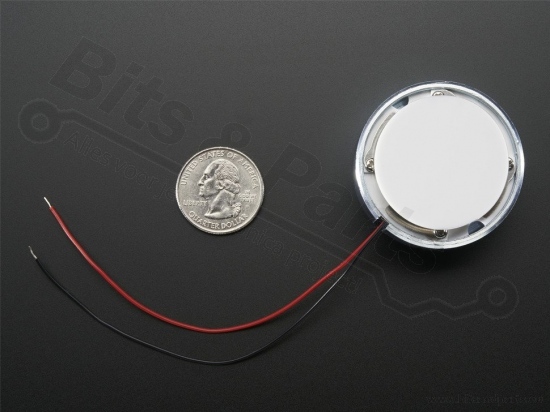 Turn any surface/wall/table etc into a speaker with a surface transducer. This type of speaker does not have a moving cone like most speakers you've seen. Instead, a metal rod is wrapped with the voice coil. 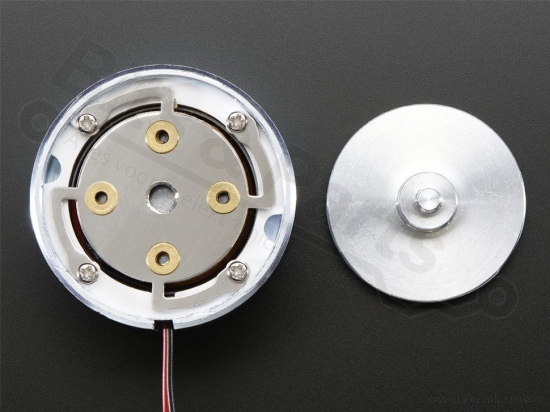 When current is pulsed through the coil, the magnetic field causes a piece of metal to expand and contract - and if it's pressed against a surface it turns the transducer into a speaker! 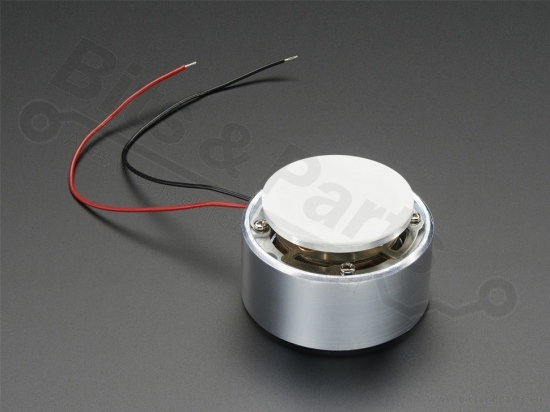 This transducer is about 45mm in diameter and has 4Ω impedance and should be run at about 5W. It's slightly larger than the Medium Surface Transistor. It pairs great with any of our audio amps such as the TS2012 breakout, MAX98306, or you can even try the 20W amplifier, just keep the gain down so you don't overdrive the transducers. 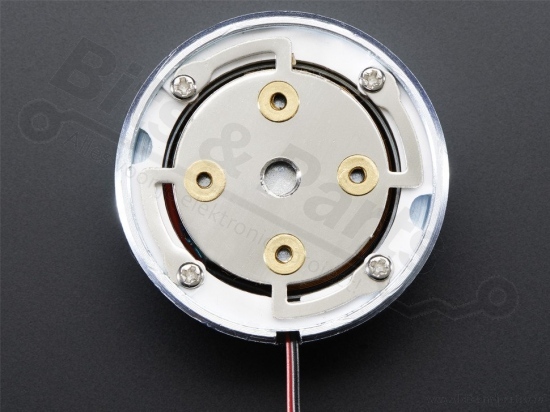 Just connect it as you would any other speaker, we even have some wires pre-soldered on.